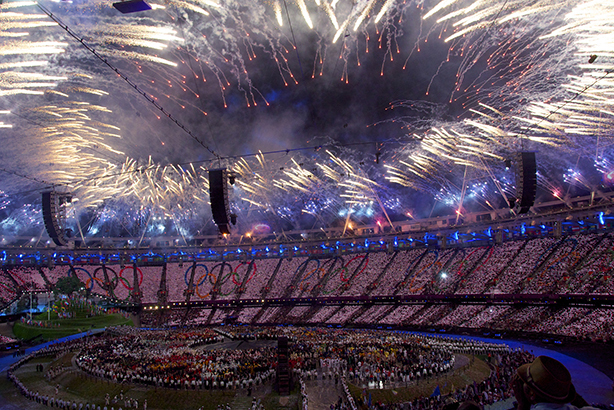 Ahead of tomorrow's opening ceremony of the 2016 Summer Olympic Games, PRWeek asks four PR professionals how, and if, the evening affair can give a shot in the arm to a Games that has already been written off by many. With civil unrest, an unstable government, fears over the Zika virus and of Rio's readiness, and fresh protests against the money spent on the event, the Games have not been given a smooth ride in the international press. According to a report from Reuters on Tuesday, the ceremony will "break with opulent traditions", while several media have reported that the country's supermodel Gisele Bundchen would be mugged during the ceremony – although this appears to have been a red herring inserted into rehearsals to keep other secrets under wraps. It was also announced several months ago that a team of refugee athletes would take part in the parade of nations that concludes the ceremony. Several snaps from rehearsals have been posted online (see end of story). But what would the opening ceremony need to do to score PR gold for the host city? And how will it reflect on the host city and nation? PRWeek UK asked four PRs. "With the country in recession and unemployment levels at 11 per cent, it would simply be inappropriate to undertake the same expense as London and Sochi. But the way the Games are being covered is too often far from positive. And there are positive stories to find. Brazil is a hugely diverse country and it's clear the ceremony is looking to celebrate that diversity in a highly positive manner. As well as some of the more internationally known Bossa Nova artists like Gilberto Gil e Caetano Veloso, the show is also going to feature ‘funkeiros’ - funk carioca, Brazil’s version of hip hop - and Lea T, the first transsexual artist to feature in an Olympic opening ceremony. But you would have to look far and wide to find much coverage of the fact. For those of us living in the country, there’s a feeling Brazil has sleepwalked its way into the role of whipping boy for the international press. Put simply, many of the government’s communications teams have been more concerned with minimising the domestic scandal than the country’s global image. Here on the ground, there is actually a growing sense of excitement. It is frankly a tragedy that the opportunity to convey that excitement has been missed." "It would make perfect sense for Rio to emphasise the country’s natural beauty and to play up environmental sustainability in the opening ceremony. They’re both themes that we associate closely with Brazil, and that viewers and athletes can unite behind. But there’s a danger of laying it on too thick: ponderous efforts to be topical in referencing social and economic challenges can be questionable. While all the Brits enjoyed London 2012’s NHS sequence, I’m not sure quite how well it translated to an international audience. Above all, the event needs to capture that slightly edgy sense of joie de vivre, and carnival spirit, that we tend to associate with Brazil. And a bit of a sense of organised chaos wouldn’t go amiss – Beijing set the standard for militaristic precision and you won’t win by competing at that game." "All Olympics opening extravaganzas confound one of the basic equations of our profession: successful communication equals a clearly defined audience plus a relevant message plus an appropriate channel, multiplied by empathetic endorsement. By definition, one artistic director’s vision of the heritage, culture, ambition and zeitgeist of a country like Brazil cannot resonate with all the global audience’s massively diverse contextual mosaic of knowledge, relationships and prejudice. I was in Beijing during the 2008 Olympics, observing at first-hand how all the vast country’s communication platforms and channels, co-ordinated by the Chinese Communist Party’s propaganda department, focused on a single subliminal message – this country is about unprecedented scale. I can see no sign of a similarly single-minded message about Brazil given the range of issues facing the country and its capital – hence my prediction that no matter how great the creativity, the opening ceremony will divide opinion rather than engaging the world’s heart." "It’s hard to recall a Games with worse pre-event media coverage than Rio 2016. From the Zika virus to favela evictions, raw sewage leaks to theft incidents being reported by athletes, the headlines have been nothing short of catastrophic from a PR perspective. "The opening ceremony is the perfect opportunity for Rio to draw a line under all the doom and gloom that has blighted these Games so far. It’s the only chance Rio will get to strike a chord with global audiences, instil a feel-good factor, and get the media back on side. A carefully curated ceremony, with high production values, that successfully captures the exuberant spirit of the city and celebrates its unique culture, is the perfect antidote." A number of images of the opening ceremony rehearsals have been posted on Instagram.